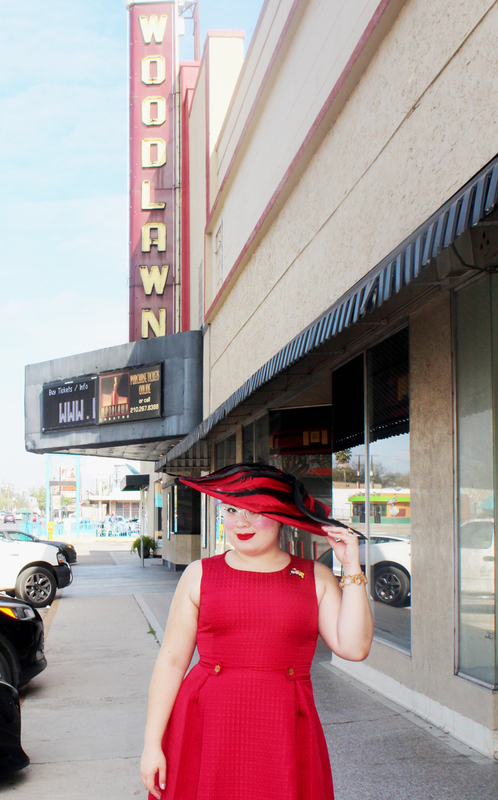 This hat is currently for sell at my shop Hello Tallulah, which is right next to the Woodlawn Theatre! 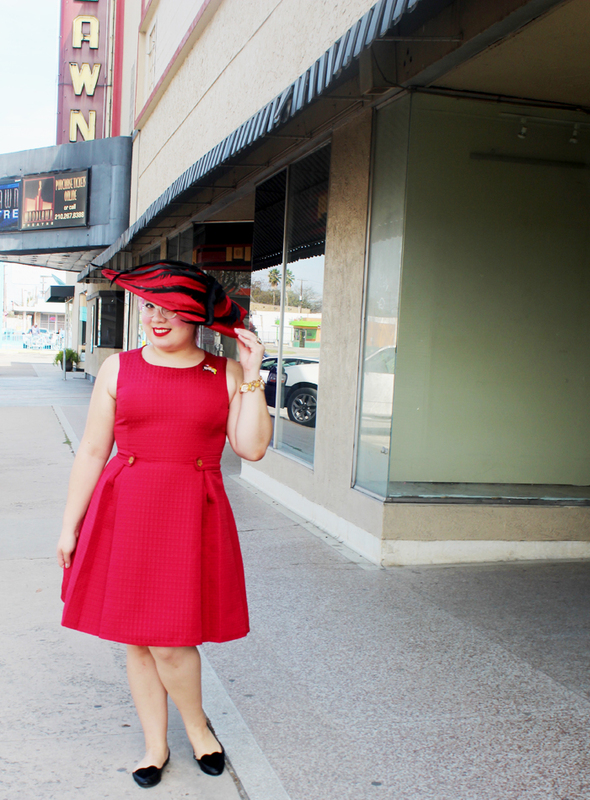 I got this dress from Modcloth/Gwynnie Bee. It went perfectly with this hat. I couldn't help, but have a little glamour moment!